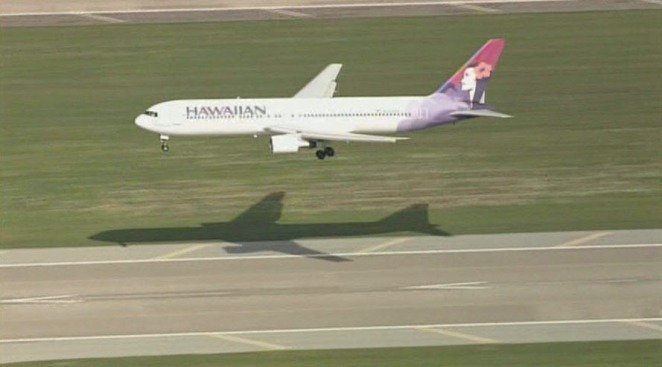 A Hawaiian Airlines flight that departed from Mineta San Jose International Airport for Honolulu on Tuesday was diverted back to SJC. Hawaii Airlines Flight 43 departed just before noon after being delayed because of part replacement, the airline said in a statement. Soon after takeoff, the plane experienced an unspecified equipment malfunction, Federal Aviation Administration spokesperson Ian Gregor said. The captain then decided to return to San Jose, Gregor said. No emergency was declared, he added. The plane landed safely around 3 p.m. The airline said the plane was carrying 241 passengers and 11 crew members. Earlier in the day, a small plane made an emergency landing at SJC after experiencing problems with its landing gear. No injuries were reported in that incident.